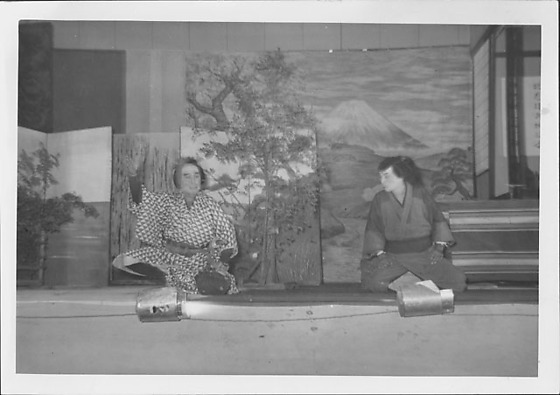 Two men in Japanese costume sit onstage during a Kabuki performance at Rohwer concentration camp, Rohwer, Arkansas, 1942-1945. Dressed in geometric-patterned kimono, man on L gestures with proper right hand as man in gray kimono and ronin wig looks on. Tree in background C in front of Mount Fuji backdrop. Same men in 97.292.4T.